If you’re looking for a UK online casino with a difference, then PlayOJO will tick all the boxes. The casino has a striking visual appeal and a huge instant play game library with over 500 casino games powered by the very best software producers in the business, NetEnt and Microgaming and along with a no wagering policy and their acceptance of bitcoin, PlayOJO is tops! Established in 2017, PlayOJO casino is the new player on the block. The online casino is powered by SkillOnNet, the award winning platform that is behind some of the world’s most successful online casino games. 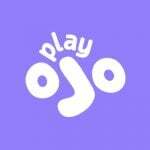 PlyOJO began their casino by targeting the “just for fun” people and for anyone who knows the feeling of pure play. In their Manifesto they declare that they believe in the simple but mind expanding power of play and aim for complete transparency, fairness and simplicity. To prove their point they removed wagering requirements completely from bonuses and free spins. PlayOJO casino have very popular casino games powered by top software providers. The casino website is modern, bright and colourful and easy to navigate and all the games offered are instant play. Licensed and regulated by the UK gambling Commission, The Malta Gaming Authority and the Danish Gambling Authority, they already have a strong presence across the globe. Over and above being regulated by reputable companies, each game is independently tested and certified by iTech Labs, a third party agency. The casino is fully responsive and protected by 128-bit SSL security, which guarantees that the players’ details are always secure. There are absolutely no wagering requirements and when the player makes their first deposit they immediately get their rewards and free spins and begin play. They don’t offer the most lucrative deals in the casino industry, but for many gamblers, not having to meet any wagering requirements makes gameplay fantastic. PlayOJO offers a generous Welcome Package that guarantees 1 Free Spin for every $/€1 deposited with a total of 50 Free Spins! There are plenty of other surprises too like regular bonuses for playing, weekly promotions and rewards. The loyalty schemes are an irresistible temptation that will keep you logged in and playing at the casino and the one free spins for every Euro deposited can be the best start to your gaming especially if luck is on your side. If you win or land the Jackpot, then you will not need to be worried about wagering requirements, the money is yours to do with what you choose. PlayOJO also uses a very interesting way to keep you informed as to your winnings, the OJO Smile is a bar that shows the level of your progress and your money balance. The OJO wheel is also worth mentioning as it gives you free money as you keep playing. If you play a lot you can also form part of the VIP team which comes with a wealth of privileges and special prizes. Playing real money online casino games means that you can use any of the available banking options for your deposits, and there are plenty to choose from. In terms of withdrawals, there are not as many as the options for deposits, but the casino accepts all the main payment options like credit and debit card as well as Neteller, Cubits and Paypal. There is a 20 minutes waiting period for all withdrawals and a minimum deposit of $/€20 and a minimum withdrawal amount of $/€20. There are more than 500 top casino games available for play and with 20 software partnerships in place, you will be spoilt for choice. Top software developers include Microgaming, NetEnt, SkillOnNet, NextGen Gaming, Blueprint Gaming, Yggdrasil Gaming, and Big Time Gaming. At this casino you will find slots and progressive jackpots, table games like Blackjack, Baccarat and Roulette, an incredible live dealer area and slot tournaments. For players that enjoy the live casino experience, PlayOJO offers three major live dealer providers brought to you by NetEnt, Evolution and Extreme games. Live streamed videos offer a high quality live gaming experience with glamour and high definition. Players can choose to play Roulette, baccarat, Casino Hold’em and much more. There are also variants of the popular games like Italian Blackjack, Golden Ball Roulette and Dolphin’s Roulette. The live dealer games are customisable, intuitive and aesthetically glamorous and players can search through the software setups and find the game they like most. As this casino is very young it worked on optimising its mobile experience from the very start and the website was designed with smaller screen compatibility in mind. The mobile website is slick, quick and works exactly as it should and loading times are fast and perfectly acceptable. You will not need any software to play on the go, it’s just a simple case of clicking on the game of your choice and y are ready to go. Alternatively you can download the app and play your favorite slots or casino games anywhere, anytime. Mobile apps are available for iOS or Android device and have a high-definition graphics with smooth gameplay on any size screen. Follow the instructions on the desktop site, open an account and you will be provided with full details on how to download the app for your mobile device. Play Roulette or any other casino game and alternatively there is a native app that runs on iOS and Android devices and hosts an enormous range of mobile games and roulettes. Although quite new, PlayOJO have already managed to earn a reputation as a fair, secure and reliable online casino and were even awarded the “Rising Star of 2017” trophy by EGR, a leading industry networking group. PlayOJO is licensed by the UK Gambling Commission, the most reputable regulators of the online gambling world. They are also regulated by the Malta Gaming Authority, the company that regulates most gambling forms including online and lad based casinos. Since the UK Gambling Commission does not mediate any disputes that might arise between PlayOJO and its clients, they depend on eCogra, and this adds another layer of confidence to this casino. They are also registered with Malta Gaming Authority. All their games listed in their library are tested by trusted third-party agencies like iTech Labs and eCOGRA and their random number generators of each game are completely random, guaranteeing players get a fair chance to beat the house. If you’re concerned about the safety of your private details and your financial details, here you don’t need to be. PlayOJO uses standard security such as an SSL data encryption which ensures that all transactions and activity are performed in the most secure way. A great online casino must have a great customer services team and players should be able to have all their questions answered and receive help whenever a problem arises. PlayOJO have taken their responsibility very seriously and have provided their clients with an extensive help page and a very detailed FAQ page which will surely answer any question you have. If that’s not enough then they have also provided an excellent customer services team and a variety of ways to get hold of them. You can send an email or start a live chat and no matter which option you choose, you will be able to speak to an experienced and professional helpdesk employee. Make sure you take the virtual tour through the online casino as it explains all the features and specials designed for the player to get a full understanding before starting play. In the quest for accessibility, PlayOJO have also embraced all the online mediums with a large presence in Facebook, Instagram, Twitter and YouTube. PlayOJO is different from most online casinos as here you will be rewarded with free money as there are no wagering requirements. The casino is split in six sections, Slots, Roulette, Blackjack, Live Casino, card play and jackpot play and with more than 200 gaming titles, it’s fabulous. Sign up today and try some of their incredible games, spin the reels with the Mega Fortune slot game of Rainbow Riches slot and Starburst. There are hundreds of other classic reel games. The live casino section is humble with just two options to choose from, Platinum Live Casino and Gold Live Casino, but whatever your choice we guarantee hours of fun and diversity. The live chat support team are very helpful with any question you may have and if that doesn’t work for you, then feel free to send an email or call them. All in all, PlayOJO Casino has proved to be a breath of fresh air and true to their manifesto which claims they are all about “Keeping it real”, “Fair and Square” with “No funny business”. They also promise that the money you deposit and the bonus they offer is “It’s all yours” and with no fine print, no hidden conditions, this is about as good as online gaming can get. Whether you’re a newbie who values entertainment as much as profit or a seasoned gambler, this is the site that will tick all your boxes. Sign up today and start playing, you have nothing to lose!